In a major shakeup of his senior management team, Microsoft CEO Satya Nadella has ousted three key executives. The most notable among those leaving is Stephen Elop, the former Nokia (NOK) CEO who came back to Microsoft (MSFT) after the companies merged last year. Elop was formerly the head of Microsoft Office before he took the Nokia job in 2010. When he returned to Microsoft last year, he oversaw the company's devices group, which includes Nokia phones and the Surface tablet. Elop's departure doesn't come as much of a shock. Microsoft's devices business has largely been struggling since he returned to the company. Though Surface has begun to catch on with consumers, Microsoft has been unable to gain much headway with its Windows Phones. 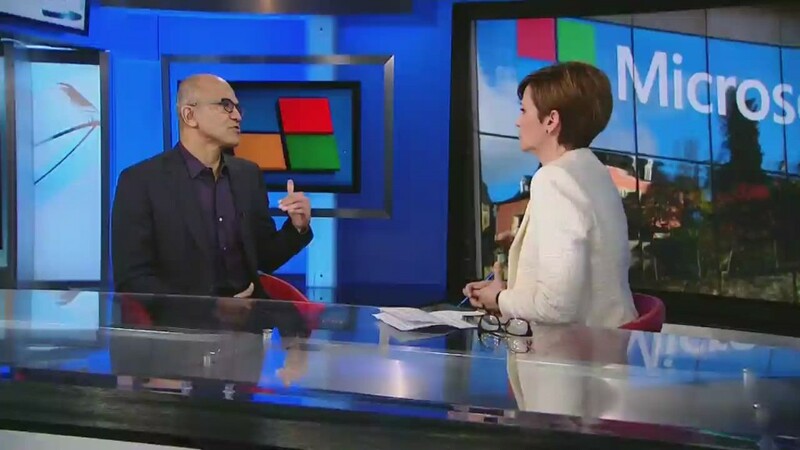 "Stephen and I have agreed that now is the right time for him to retire from Microsoft," Nadella said in an email to employees. "I regret the loss of leadership that this represents, and look forward to seeing where his next destination will be." Also out as part of the shakeup is Kirill Tatarinov, the head of Microsoft's Business Solutions, a role that Nadella had previously held before becoming CEO. Tatarinov oversees Microsoft's fast-growing $2 billion Dynamics unit, a rival to Salesforce (CRM)'s customer relations management service. Microsoft had been rumored to have interest in buying Salesforce earlier this year, but the deal seems to have fallen through. Eric Rudder, the third executive who'll leave the company, oversaw Microsoft's "Advanced Strategy" team, which was responsible for facilitating relationships between the disparate teams at the company. He was assigned that role in 2013 by then-CEO Steve Ballmer, who had been trying to break down the silos between Microsoft's various businesses. Nadella said that the departures will help the company achieve its main goals of reinventing productivity and business processes, building an intelligent cloud platform and create more personal computing. "We are aligning our engineering efforts and capabilities to deliver on our strategy and, in particular, our three core ambitions," said Satya Nadella, Microsoft's CEO, in a statement. "This change will enable us to deliver better products and services that our customers love at a more rapid pace." The moves mark yet another strategy shift for a company that has a very mixed track record in restructuring its business operations. In fact, Microsoft has tried this kind of thing many times before. In 2002, Microsoft unveiled a new corporate structure that gave more independence to the managers of the company's half-dozen-or-so business units. In 2005, Microsoft reversed course, consolidating its seven divisions into three -- platform products and services, business, and entertainment and devices. A year later, it completely rethought the products and services organization in light of the Windows Vista debacle. In 2007, Microsoft changed up its Windows business structure yet again and made the server and tools business separate from the products and services division. In 2008, the company did even more retooling of its products and services unit, splitting it into two divisions: Windows and online services. In 2010, the company changed up its entertainment and devices management structure. In 2012, Microsoft shuffled its marketing business. In 2013, Microsoft unveiled its "One Microsoft" strategy with a focus on operating systems, apps, the cloud and devices. And last year, Microsoft replaced Ballmer with Nadella, who opted to replace Microsoft's "devices and services" strategy with a focus on productivity for mobile and the cloud. Separate from the structural reorganization, Microsoft also announced Wednesday that former Hillary Clinton campaign strategist Mark Penn will leave the company to head up a new private equity fund that will invest in digital marketing services. Ballmer hired Penn in 2012 to attack Google (GOOGL) and develop customer insights product Bing Pulse. The two are friends, and Ballmer is a large investor in Penn's new company. Some key executives got new roles in the reorganization. Operating systems chief Terry Myerson will oversee the devices group formerly headed by Elop in addition to Windows. Microsoft's Cloud and Enterprise Group chief Scott Guthrie and Applications and Services Group leader Qi Lu will oversee some of the responsibilities no longer overseen by Tatarinov and Rudder.